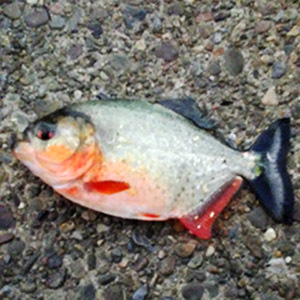 Not only did the Republicans nominate Trump for President, a red-bellied piranha was caught in North Park Lake. Ok, 2016, you win. Please stop. My son referenced a political thread in which he was engaged, and somehow the conversation turned into quotes from from the 1984 cult classic The Adventures of Buckaroo Banzai Across the 8th Dimension. My son noted, "Lectroid involvement would explain a lot about the Trump campaign." "Every word that comes out of Mike Pence's mouth reminds me that somewhere in rural Indiana, probably near Elkhart, a Quizno's is missing its assistant manager." Today is Get to Know Your Customer Day, Invite an Alien to Live with You Day, Legal Drinking Age Day, National Junk Food Day, National Tug- Of-War Tournament Day, and Take a Monkey to Lunch Day. Watching the Republican National Convention, I keep expecting them to break out into "Springtime for Hitler." ACA out of detent. Mode control, both auto. Descent engine command override, off. On The Nightly Show with Larry Wilmore, Braddock mayor John Fetterman observed that since outrageous claims, lies and statements seem to have no effect on Trump and his ilk, we are now living in a "post=factual" age. When Kasich's adviser asked how this would be the case, Donald Jr. explained that his father's vice president would be in charge of domestic and foreign policy. I've maintained since he entered the race that while Trump wants to win the Presidency, he really doesn't want to be President. Too much work, too much discipline and- let's face it- The White House is a step down from the decor of his multiple, gilded homes which appear to have been furnished by Saddam Hussein's interior designer. He has the nomination. The question is now, how can he get out of it if he wins the election? Medical? Personal problems? (Hey, he's on wife number three). Stay tuned. I don't know if it's an accomplishment or not, but thanks to the Republicans in general and Trump in particular, I have now blocked more people on Facebook than I have as friends. Every once in a while I encounter one of them in real life, where I'm tempted to grab them by the shoulders and shake them, while screaming "Are you insane? We grew up together in the sixties! What the hell happened to you?" So, at least we now have the answer to the question "How could the German people allow Hitler to rise to power?" Someon stole my Bernie Sanders yard sign the other week. It was after he had suspended his campaign, but stil... I wanted to save it, to show there were some same people about in 2016.